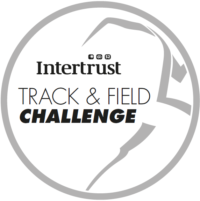 The Intertrust Track & Field Challenge series fixtures are now confirmed and available for download via the event page or by clicking on the fixtures/schedule below. The series offers all local athletes the chance to compete and achieve performances in events on-island which in many cases can pave the way to accessing competitions in the UK. The team of volunteer officials that the club now has are invaluable in keeping our local meetings valid for the UK database The Power of 10 – they do this by passing the required qualifications and subsequently officiating the events in a genuinely professional manner. Two visible changes to the series for 2018 is the introduction of the Intertrust Field Fest fixtures and the three-meeting U13 Quadrathlon. 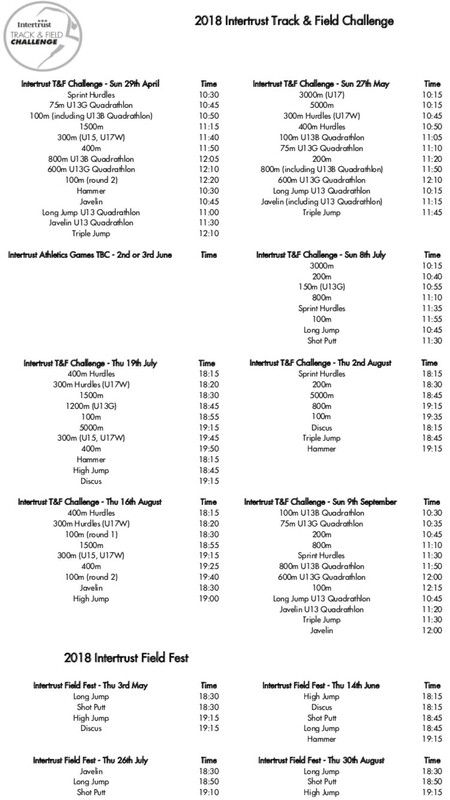 Both of these changes are strategic moves that will play a part in seeing increased success in age-group field events and all-round athlete development. Further details regarding the rules of the series including age group regulations will be published imminently.